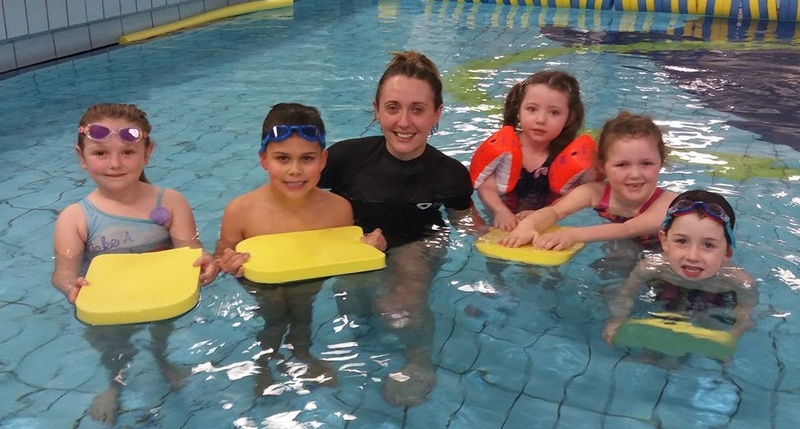 Children and young people living in Armagh and wishing to learn to swim will have more opportunities to do so with the introduction of four new swimming programmes at the Orchard Leisure Centre implemented by the new Swimming Co-coordinator Emma Crawford. The programmes will commence week beginning the 8 January 2018 and are suitable for children aged between 2 to 15 years old. They include Water Tots, Pre-school, Swim Camp and Teen Swim and will run for a 7 week period alongside the current children’s swimming programme. Water tots is a child and parent aqua based activity, aimed at children aged 2-4 years old. It is aimed at developing both the parent’s and child’s confidence within the water. Through nursey rhymes and fun games all of the lessons will follow a relaxed structure focusing on making swimming a fun activity for all involved. Pre-school lessons are suitable for children aged 4 ½ – 5 years old. It will be a stepping stone into lessons once the child turns 5 years of age, it is aimed at developing the child’s confidence whilst teaching the basic fundamentals of swimming. Teen Swim is suitable for teenagers aged 11-15 years old who are unable to swim and feel too old to join at the beginning of our swimming programme. Classes will aim towards developing water confidence and develop/improve swimming abilities. Enrolment for all of the new programmes is now opened, bookings must be made at reception of the Orchard Leisure Centre. Pictured L to R at the launch of the New Swimming Programmes at the Orchard Leisure Centre is Lily Wilson, Finn McMahon, Emma Crawford, Swimming Co-ordinator, Jessie McCoy, Katie Oliver and Eoin Greene.